Washington, D.C. (December 2, 2016) — The ALS Association, in partnership with ALS Finding a Cure and the Northeast ALS Consortium (NEALS), is pleased to announce $1 million in funding to support a new ALS clinical trial to test the efficacy of the experimental drug RNS60 in reducing inflammation that may hasten the disease process. The trial will be led by Ettore Beghi, M.D., neurologist at the IRCCS Mario Negri Institute for Pharmacological Research in Milan; and Letizia Mazzini, M.D., neurologist at the University Hospital of Novara in Novara, Italy; and Sabrina Paganoni, M.D., Ph.D., neurologist at Massachusetts General Hospital in Boston. While ALS is not primarily an inflammatory disease, inflammation within the central nervous system is believed to accelerate the disease once it has begun. Thus, treatments to reduce this inflammation may help slow disease progression. In preclinical studies, RNS60 has been shown to have strong immunomodulatory effects, reducing inflammation and protecting motor neurons. This phase II trial is being funded through ALS ACT, a partnership among the three funding entities to promote the use of biomarkers in ALS clinical trials. In the trial, 142 people with ALS will receive either the active drug or a placebo for 24 weeks. Markers of neuroinflammation will be measured in the blood to determine if the treatment is having the intended effect on the immune system. Secondary outcome measures will include clinical measures of disease progression. ALS Finding a Cure® is a new research organization dedicated to being a game changer in discovering a cure for this fatal disease. Founded in 2014 by noted philanthropist and Conair Founder and Chairman, Leandro (Lee) Rizzuto, as a tribute to Christie Rizzuto, Lee’s daughter-in-law who was diagnosed with ALS in 2009 at the age of 41, and under the joint leadership of Lee Rizzuto and Peter N. Foss, ALS Finding a Cure® is focused on identifying the gaps in the scientific understanding of ALS that are preventing the development of a cure. The organization, a program of The Leandro P. Rizzuto Foundation, collaborates with a wide range of companies, ALS organizations, other disease non-profits, and ALS patients and families to ensure research efforts are non-duplicative, synergistic, and focused on the ultimate goal: getting to a cure. 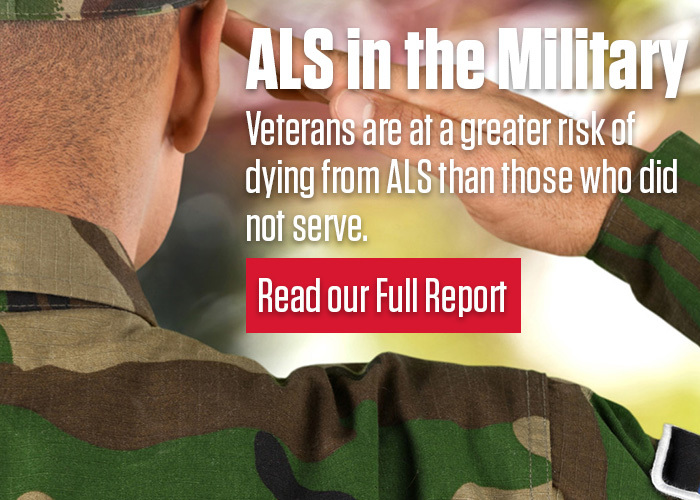 For more information about ALS Finding a Cure®, visit www.alsfindingacure.org. The Northeast ALS Consortium (NEALS) is a non-profit, research consortium committed to the cooperative implementation, timely completion, analysis, and reporting of clinical trials and other research studies aimed at improving patient care and understanding of the disease process of Amyotrophic Lateral Sclerosis (ALS) and motor neuron diseases. Formed with the goal of bringing together leading ALS scientists and clinicians, today there are over 100 membership sites and more than 700 members around the world. The NEALS Consortium has led multiple clinical trials in ALS and hosts a biosample repository and clinical data repository for ALS research. Since its inception, NEALS has trained over 100 site investigators and 69 principle investigators; the Consortium also annually teams with The ALS Association for the Clinical Research Learning. Institute, an intensive program dedicated to educating patient-caregiver pairs on clinical research and therapy development, while empowering them to be advocates for ALS clinical research. For more information visit www.alsconsortium.org.